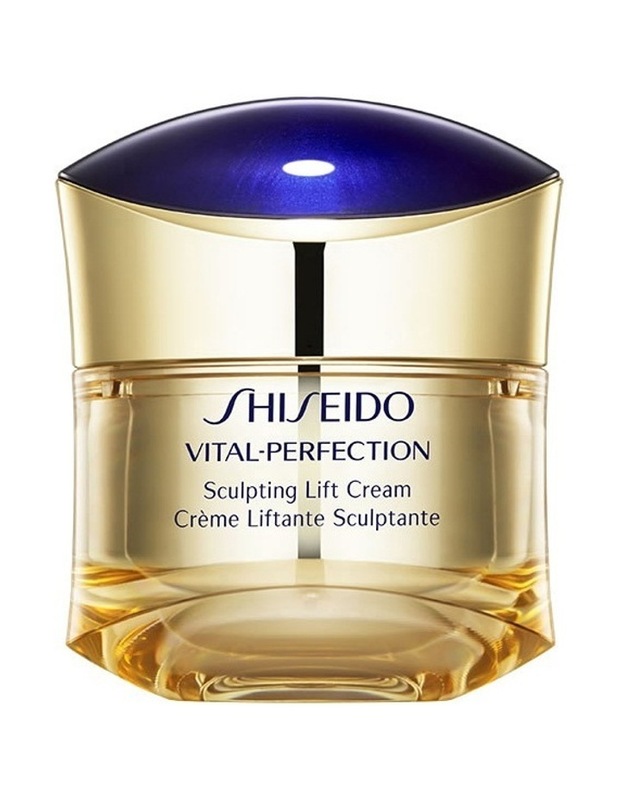 Vital Perfection Sculpting Lifting Cream. Helps lift sagging cheeks and tighten the jawline, while enhancing the skins resilience and brightening the skins tone to reveal a more sculpted and youthful look. ?formulated with pine extract and rubus leaf extract to regulate undesirable fat cells* that cause sagging of the face and the appearance of laugh lines. ?formulated with cinnamon extract, which optimizes the skins natural purifying function*, to help redefine jaw contours that have become soft or puffy. ?with its dewy texture, this rich cream spreads smoothly and penetrates deeply into skins inner layers**. It protects the skin with a veil of hydration for a 24-hour moisturizing effect.